Property recently renovated located in one of the most special areas of the island due to its natural environment and access to the sea, its tranquillity and privacy. 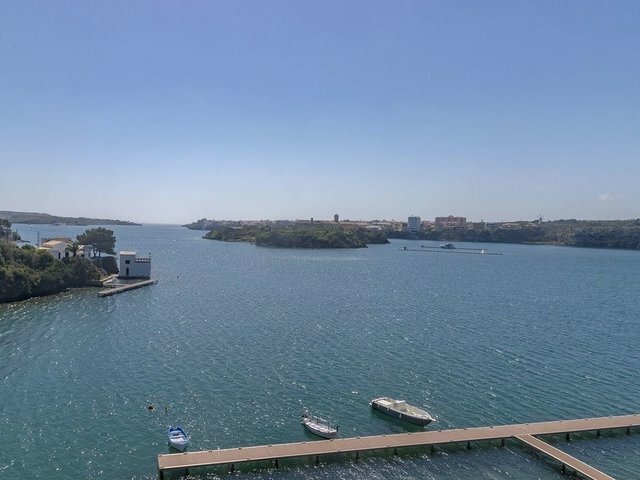 It is placed a few minutes walking distance or by car to Mahon city, the beautiful beach of Cala Mesquida and some of the best restaurants and chill out pubs. 5 minutes from the fashion boutiques and the famous jetty with exclusive yachts and demanding clients from all over the world. This villa offers an exclusive living experience with panoramic views from the other side of the harbour. From its main entrance, a magnificent exterior staircase situated on the lateral of the building offers access to different independent areas distributed in three floors. Its style stands out for its originality and freshness. In a white plaster base in both interior and exterior walls, elements in olive green, blue or brown are added, such as blinds or floors. Inside, upholstered with geometric prints and intense colours, especially red and brown create a unique fusion that faithfully recreates the Mediterranean style. It has large terraces, a living room open to a well-equipped traditional kitchen, as well as 2 bedrooms and a bathroom with shower. On the upper floor, from which you can access through a separate entrance, there is a large terrace, another bedroom with bathroom and a small kitchenette. It also has a separate laundry with access from the outside, garage with space for 1 vehicle and outdoor parking area.